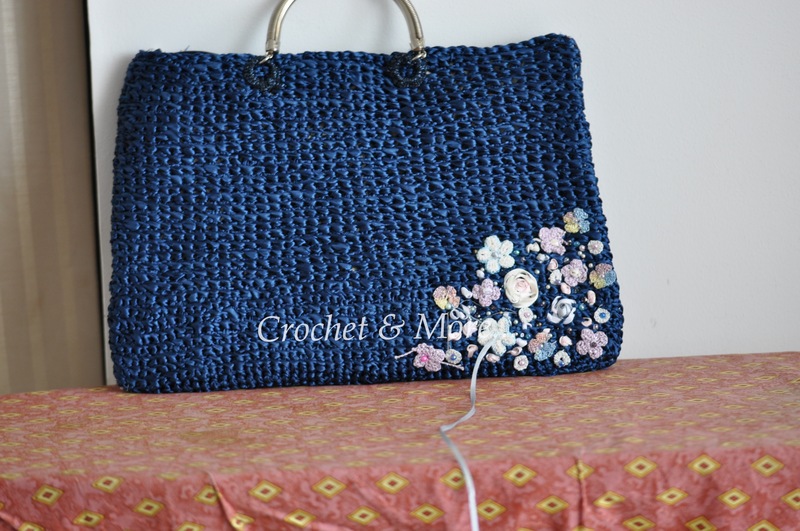 This is another bag I had hooked up for our group CAL, I finished hooking this in half a day, but then ……ennui set in….so, I let it rest for a while……after a week or so, I worked on the handles…and the lining……let go for another 2 weeks….and now have finally completed it…..some projects are like that…..they like to gestate….:-D!!! 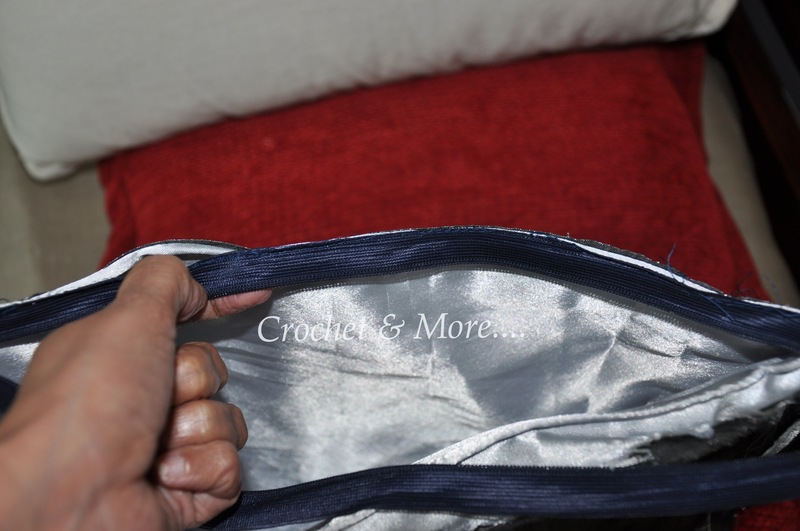 I just love the feel of satin…so soft ..so easy to hook…especially this thin satin ribbon. 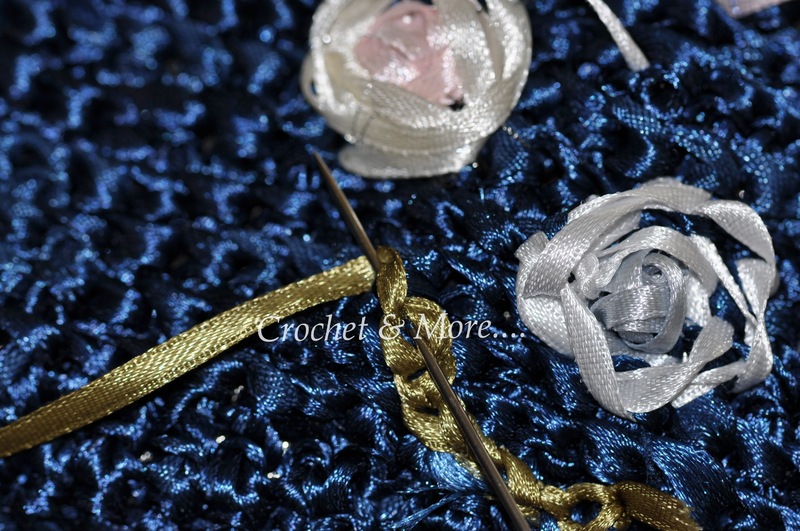 If you have read my previous post…you will remember that I crocheted that one with a 2.5mm wide satin ribbon…This one on the other hand is just 1/8 of an inch wide. 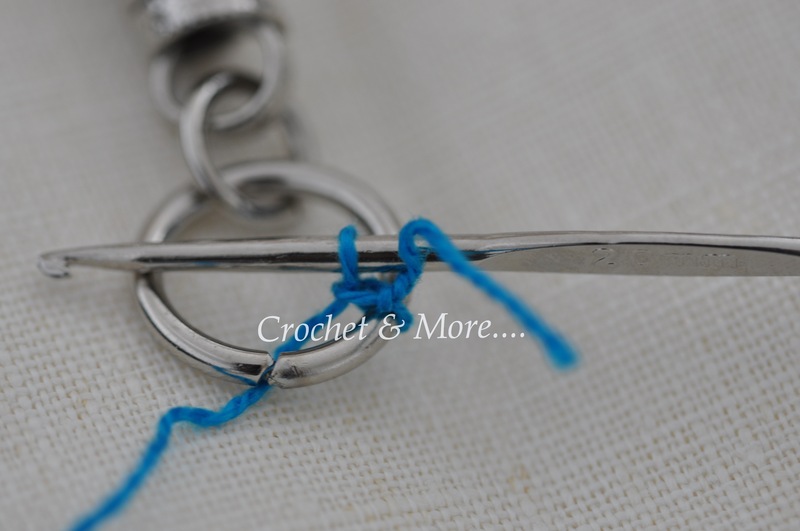 I knew even before I hooked up this little munchkin, that it wouldn’t hold it’s shape unless I gave it something firm to hold it upright. 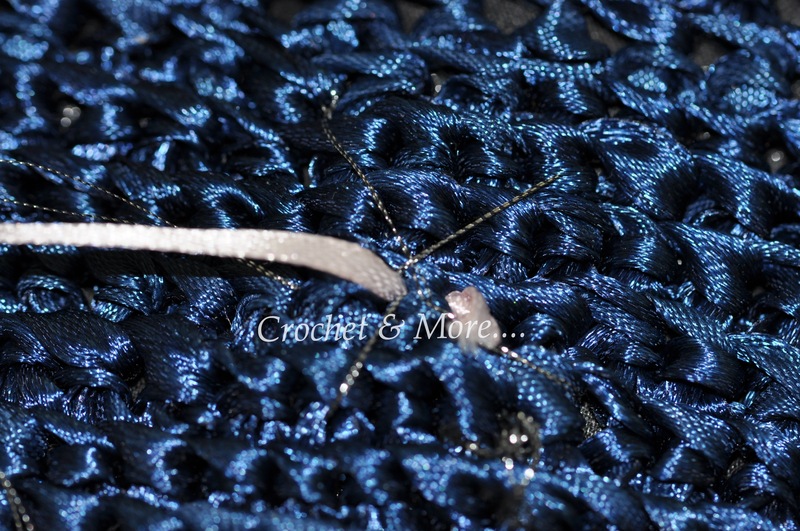 This midnight blue colour is simply ‘to die for’…….So I didn’t want to use any other colours with it. 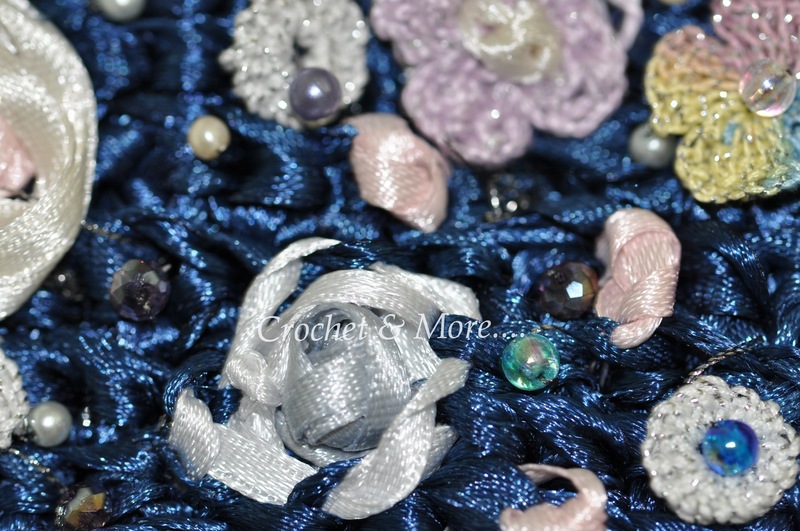 Hooked the whole thing in the same colour and then embellished it with crochet flowers, did a little satin ribbon embroidery….a little tricky on the satin ribbon itself……….and then, finished off with beads and a linked chain tassel. 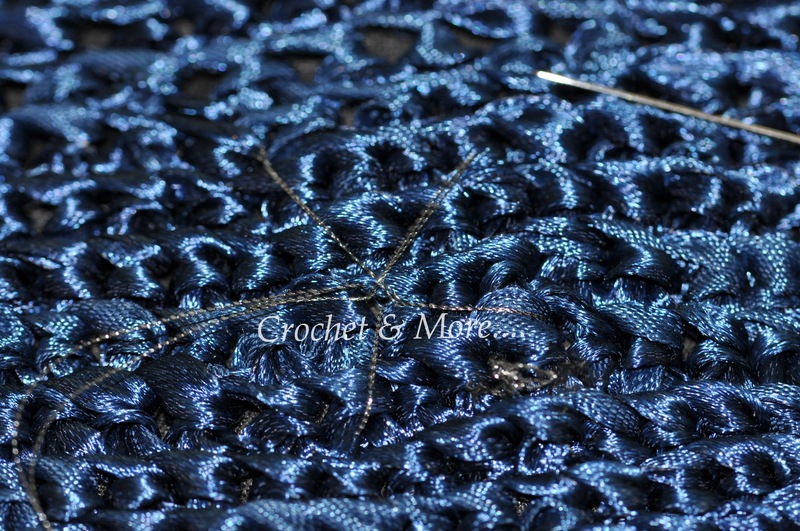 1/8 of an inch wide Midnite Blue Satin Ribbon 300 metres or 330 yards. 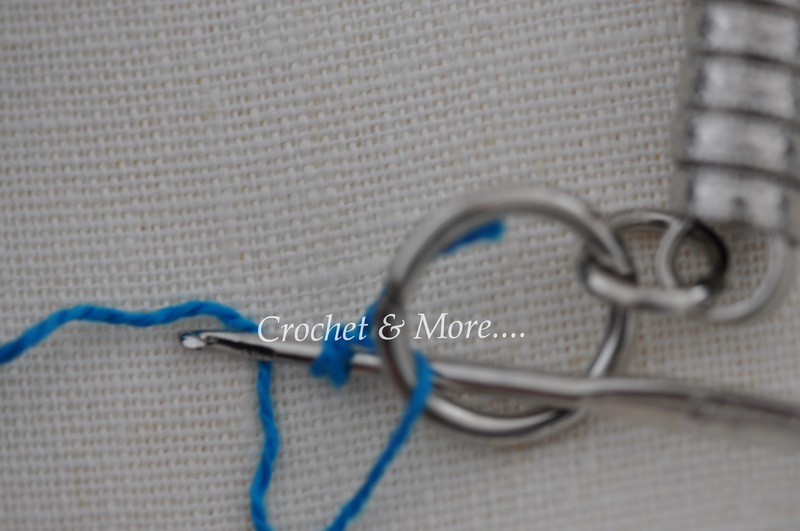 I got these in spools of 15 metres each. 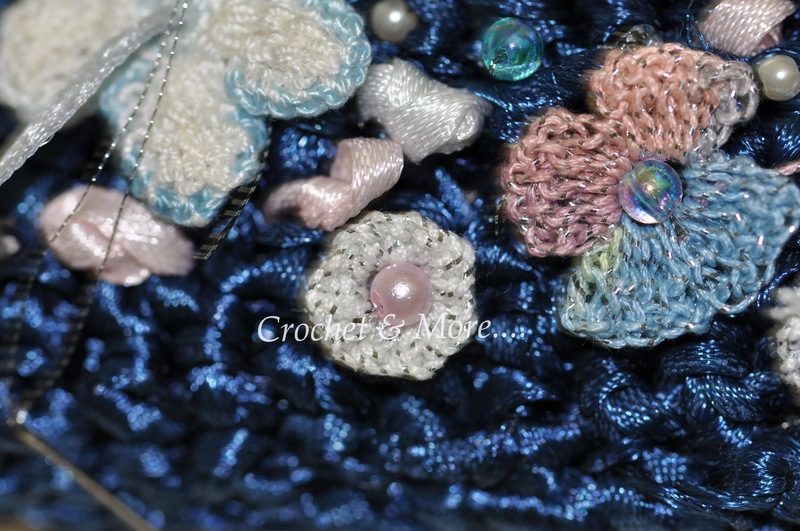 Crochet flowers and little metal butterflies. 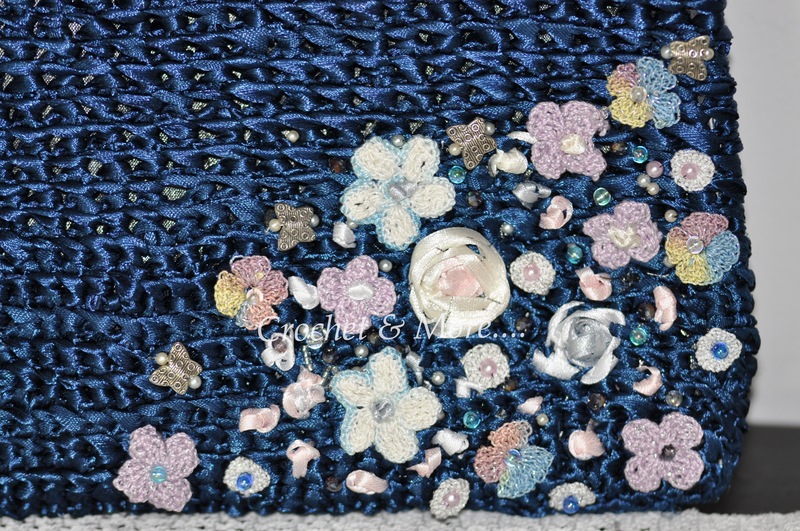 In India we have an online store known as Pradhan Embroidery Stores, the handles and satin ribbon were ordered from them. 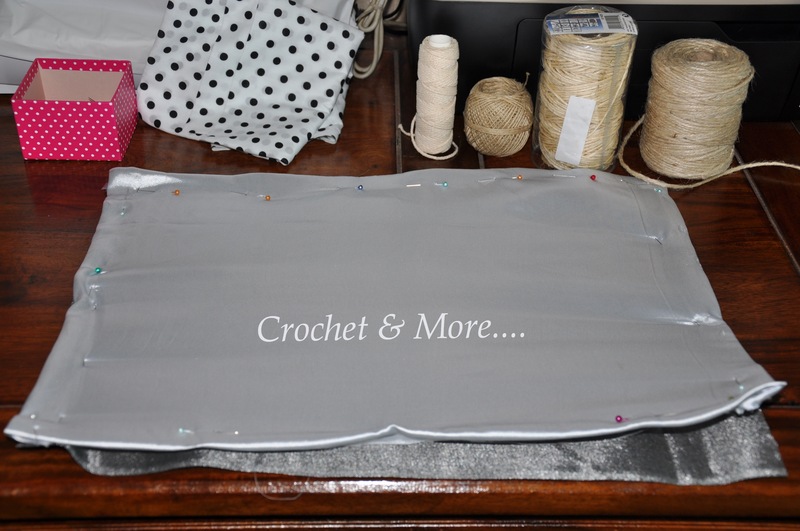 Once the linings have been stitched on to both sides of the canvas…Check to see if the size of the canvas is right for the hooked up bag. 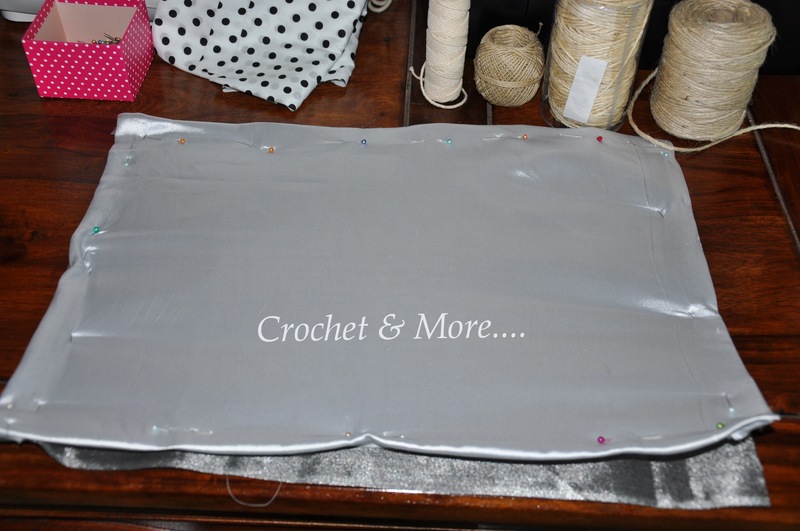 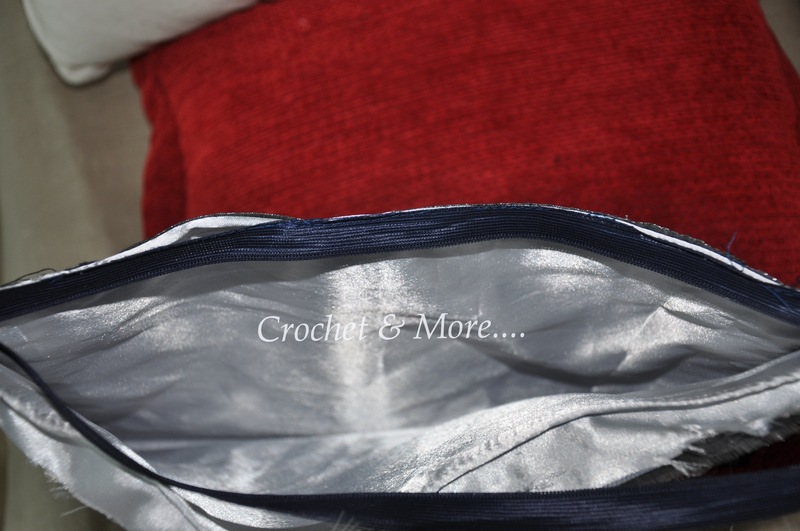 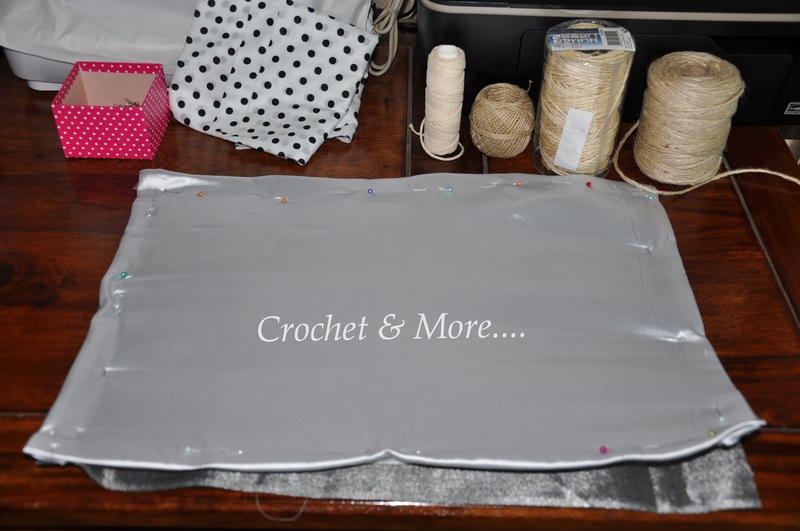 Then stitch up the sides…just run your sewing machine down the sides twice. 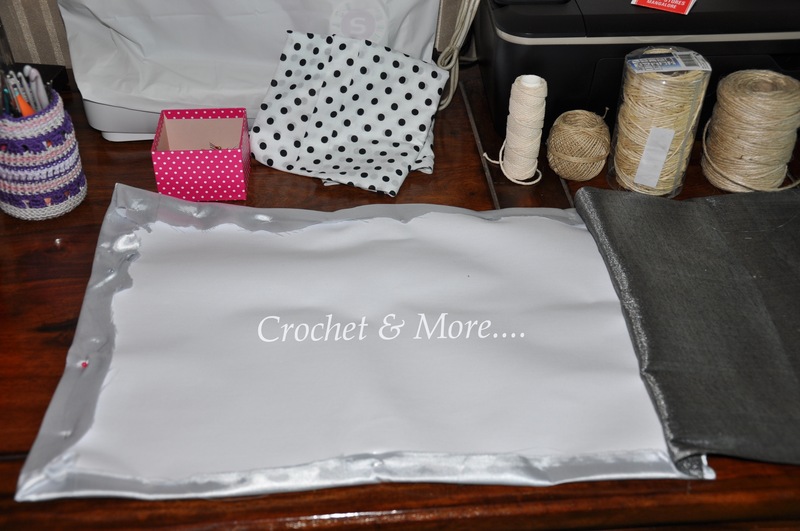 The Matte fabric was used in the outer part of the canvas. 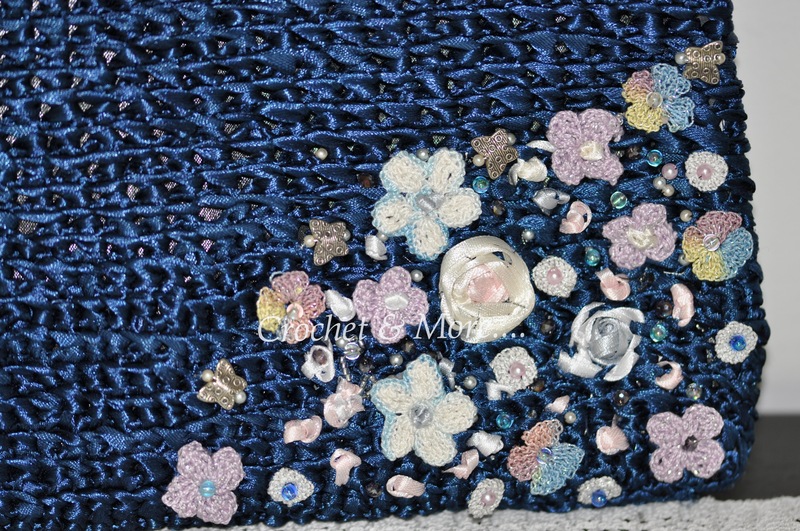 I first hemmed in the zipper to the canvas. 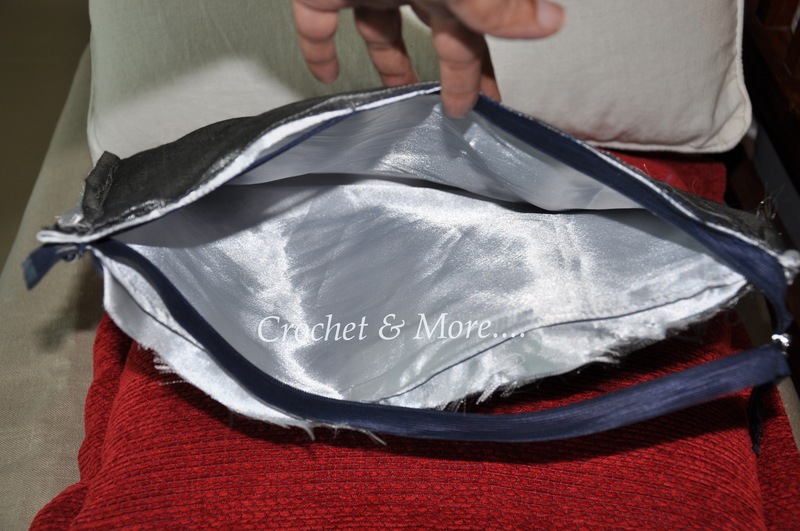 The satin fabric used to line the interior part of the bag gives the bag a regal look. 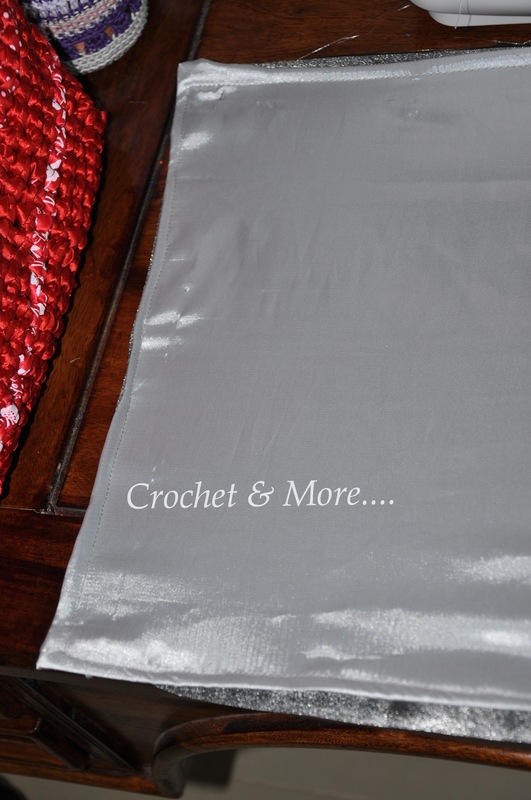 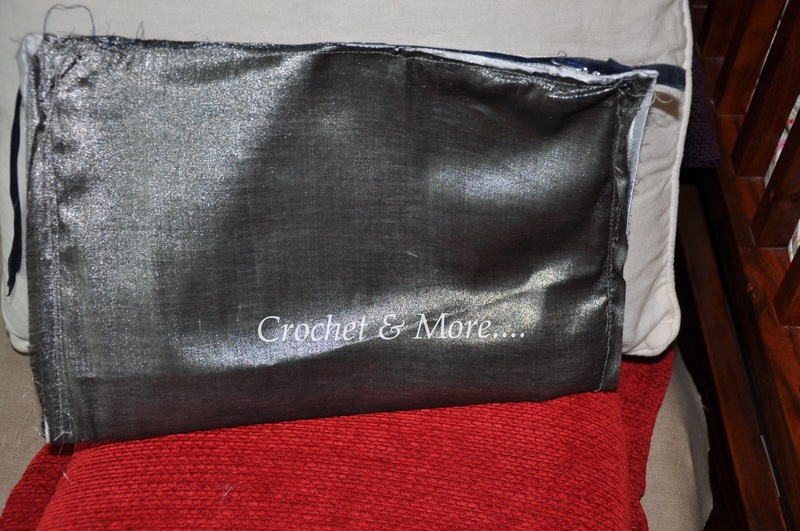 Then I pushed the lined canvas into the hooked bag and sewed up canvas bag to the crochet bag. 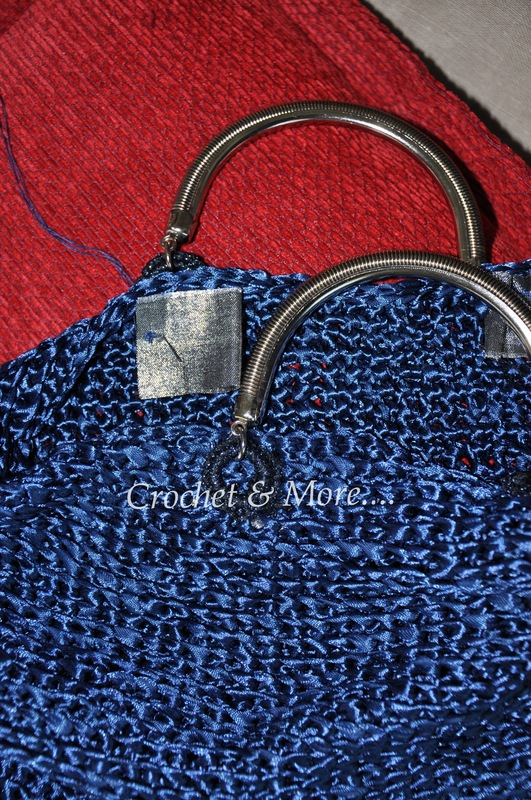 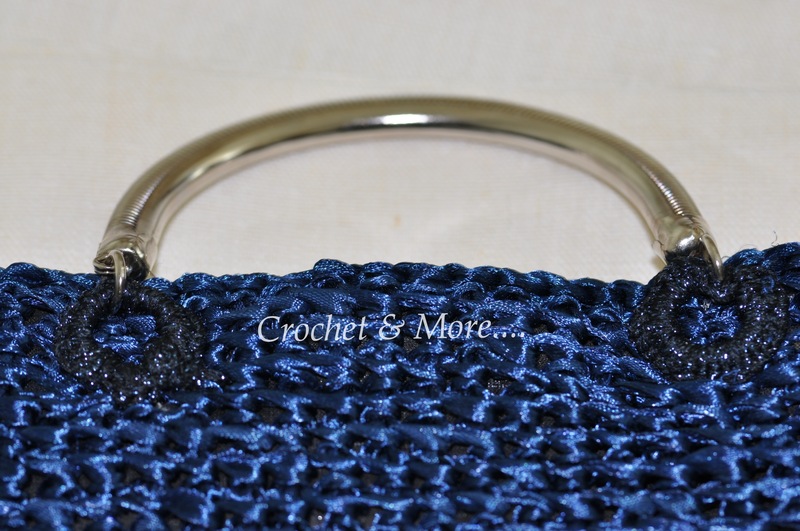 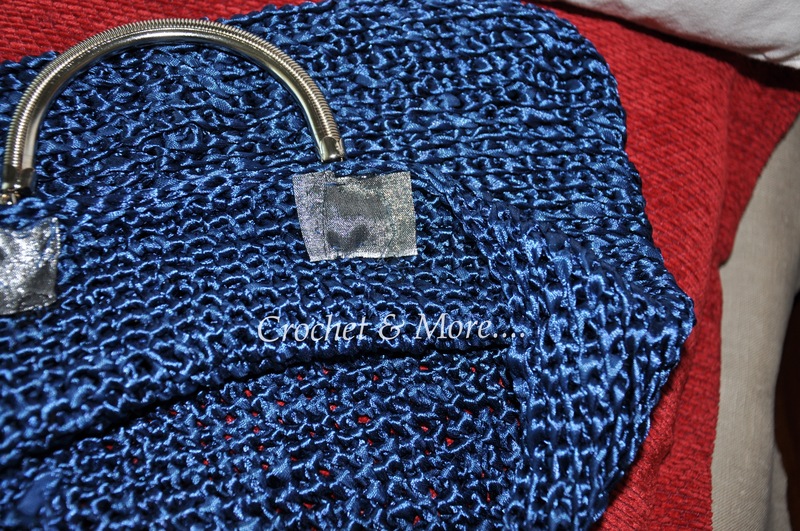 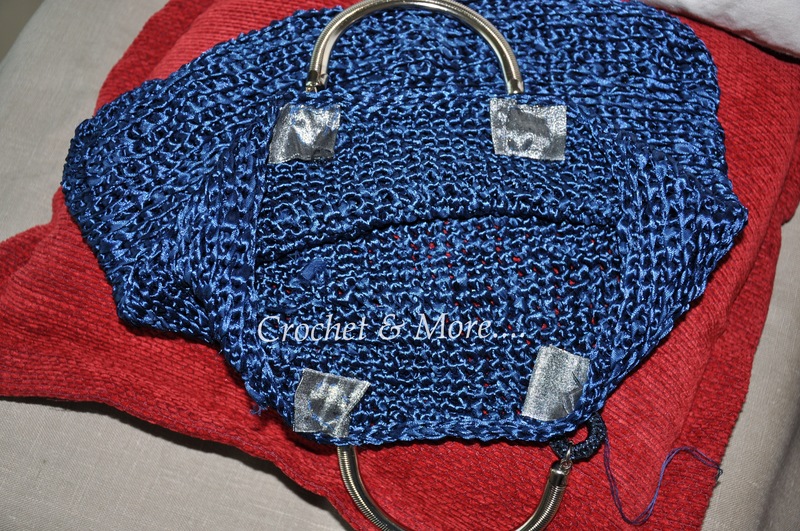 I single crocheted around the ring of the handles and the satin bag together, so securing the handle to the bag in perviously marked positions. 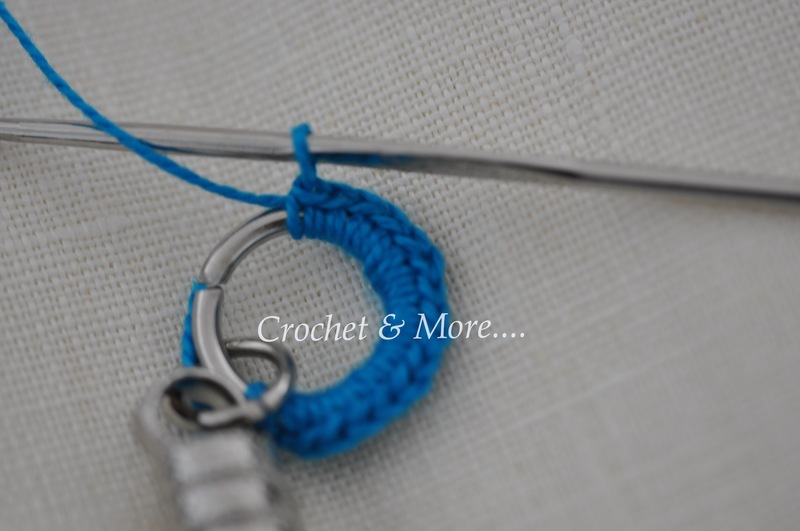 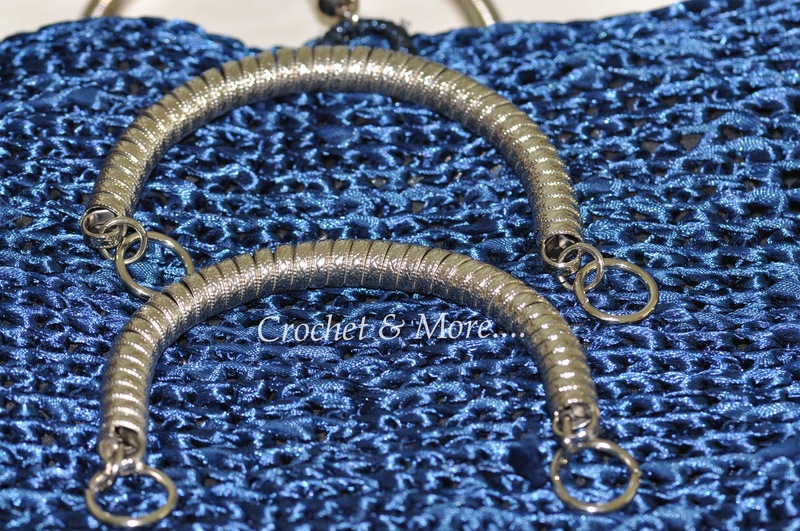 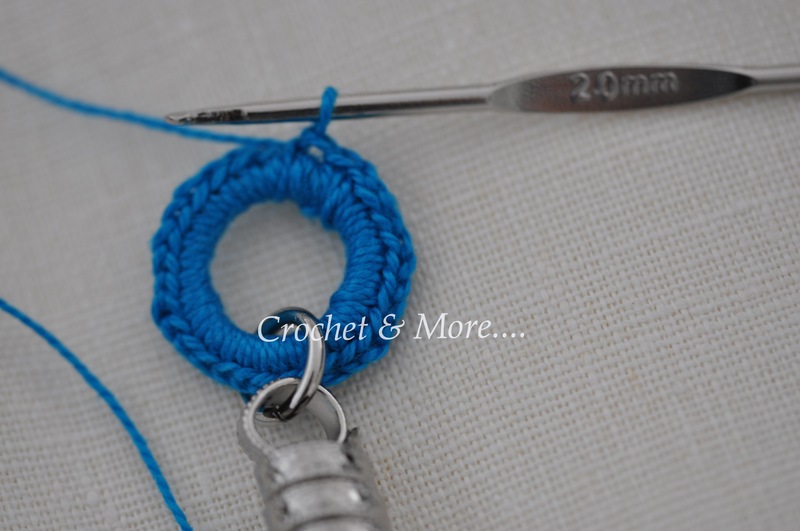 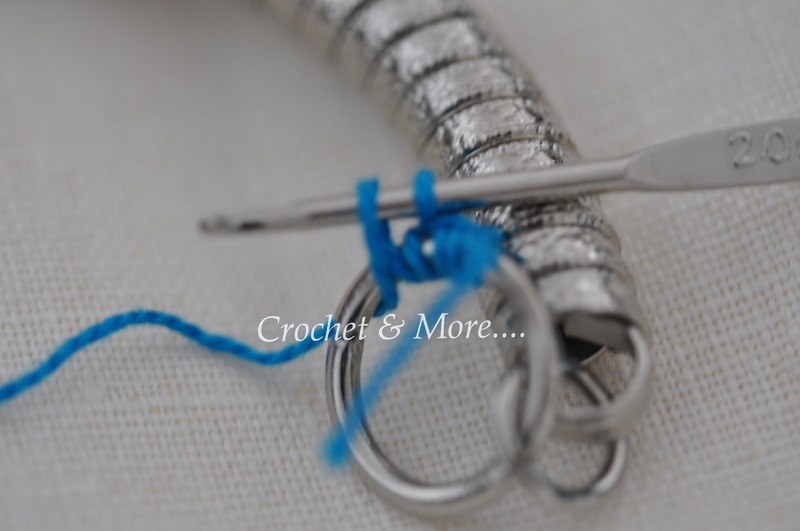 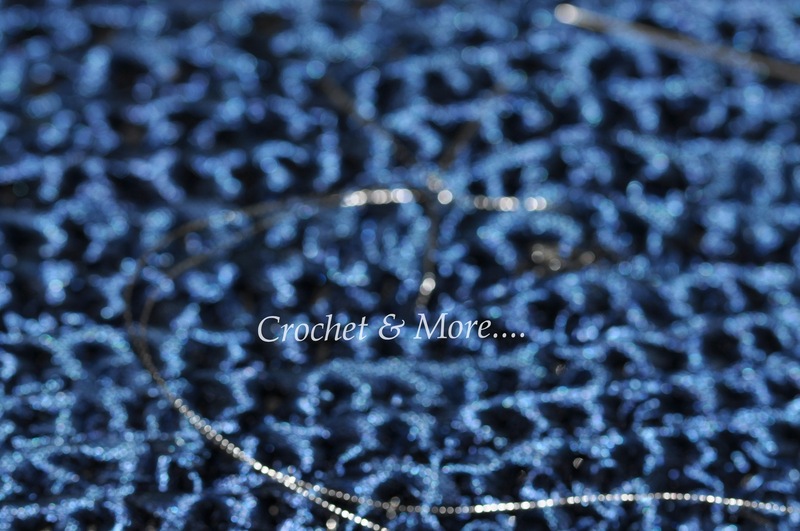 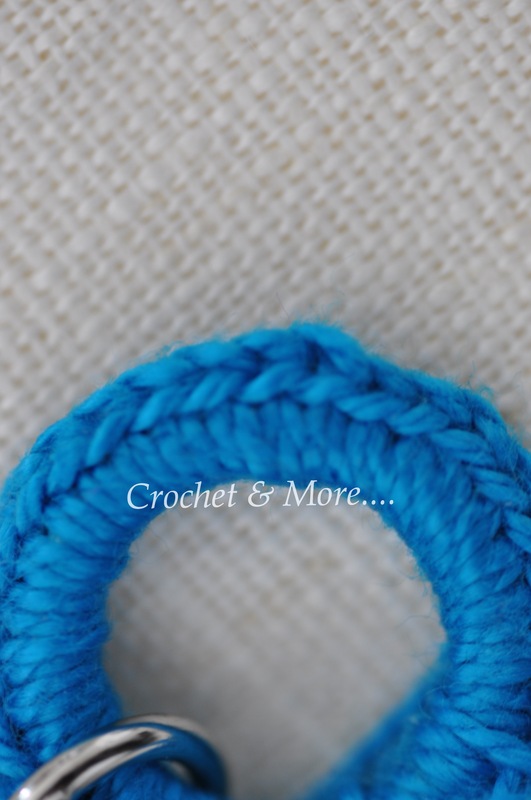 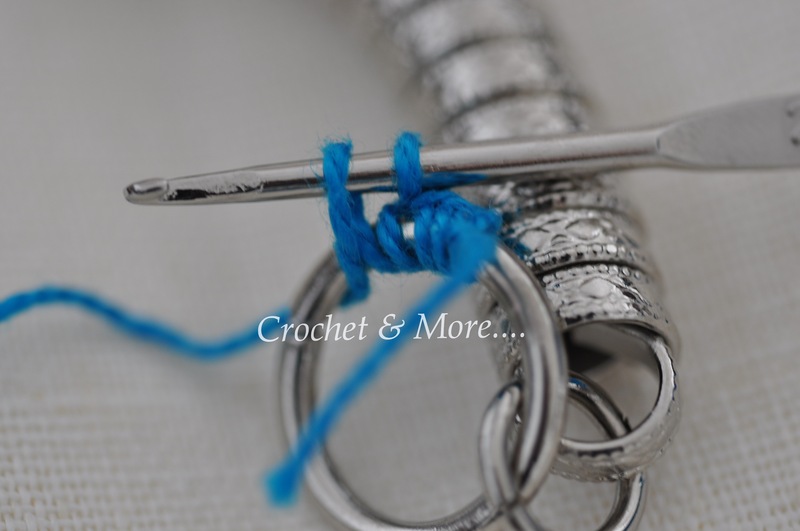 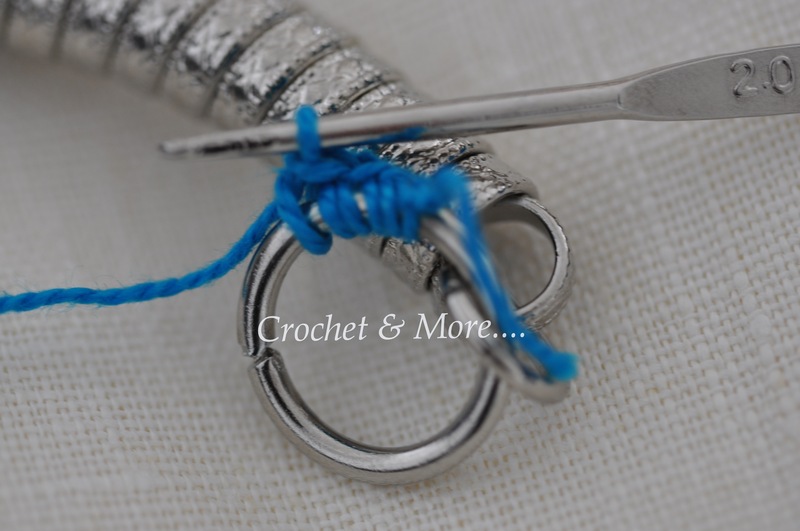 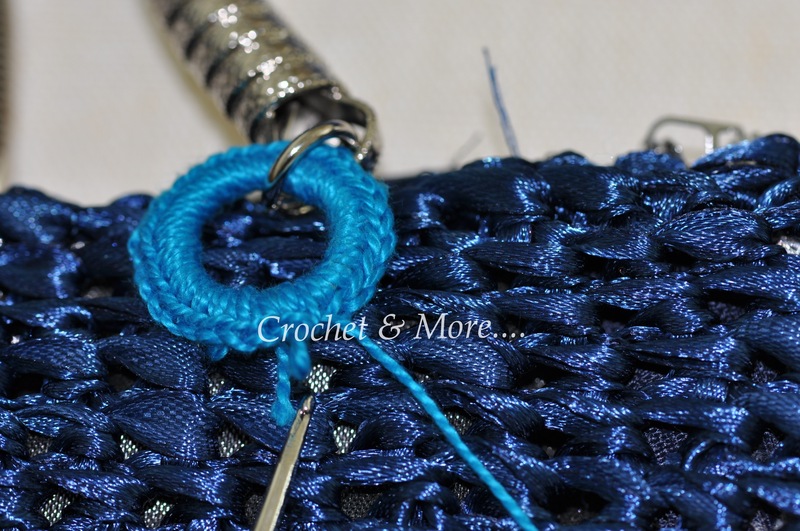 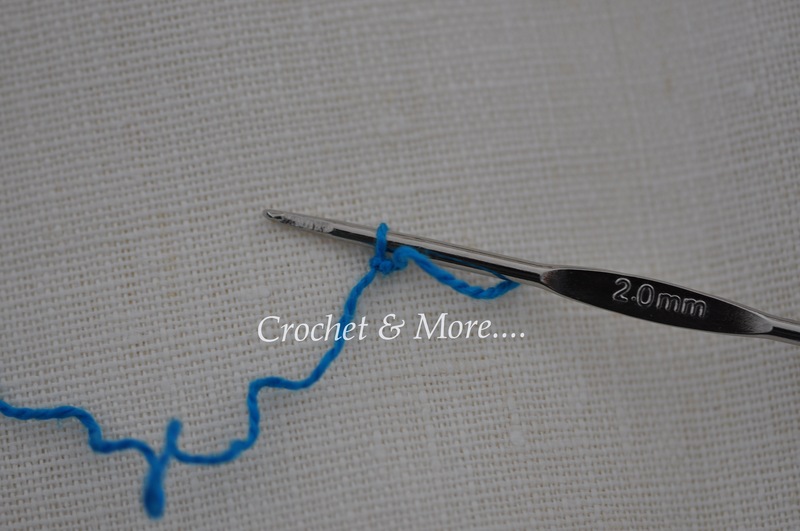 If you r not comfortable with that…finish your single crochet ring around the rings of the handles and then sew it on to the bag. 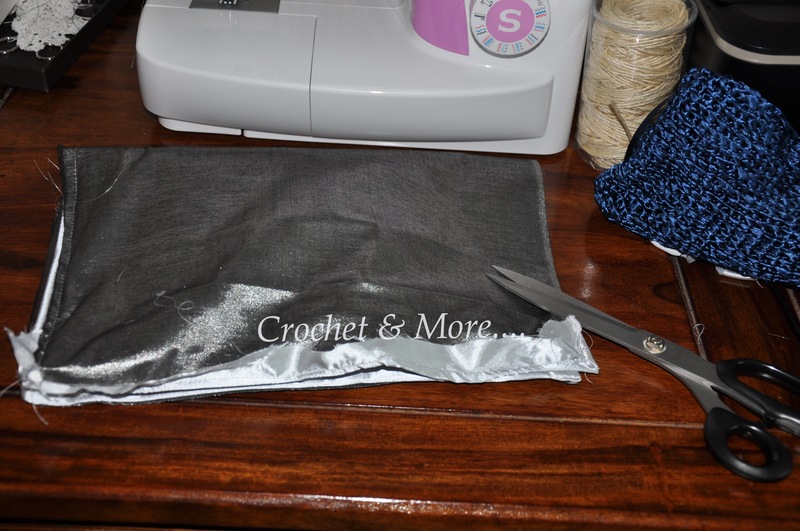 Make sure you use thick thread and sew it on firm. 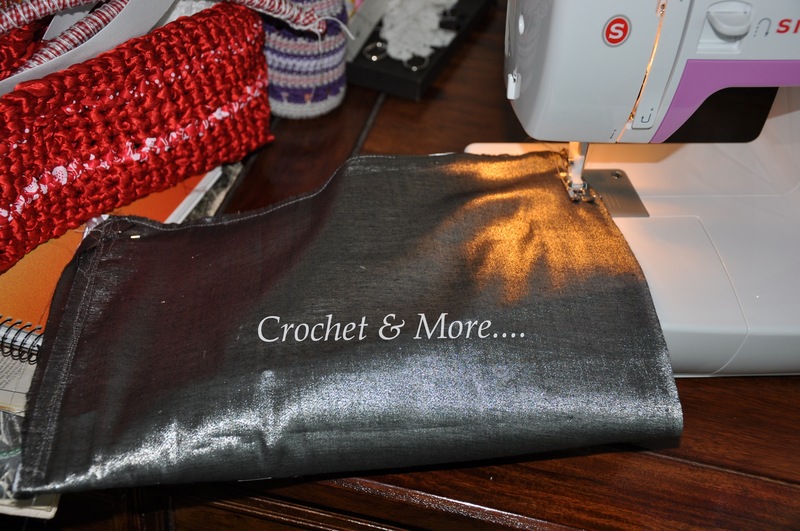 Since the bag was hooked in a very soft delicate satin ribbon, and the handles were metal…….I was a little worried about how it would hold weight. 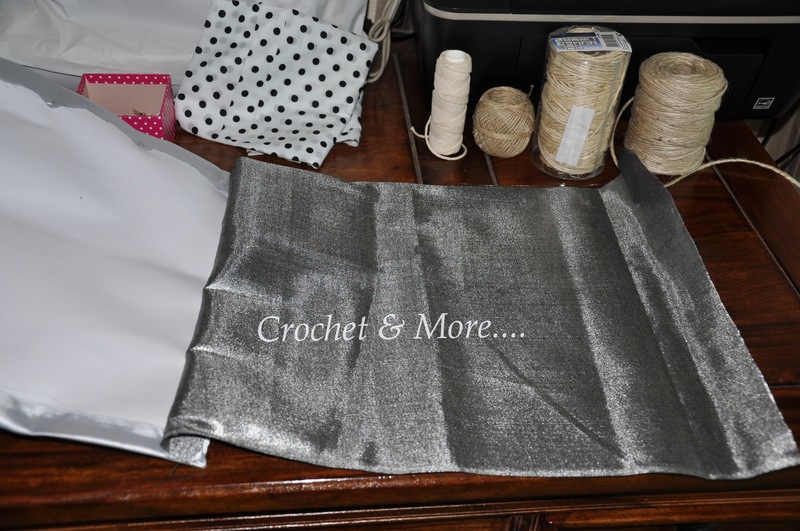 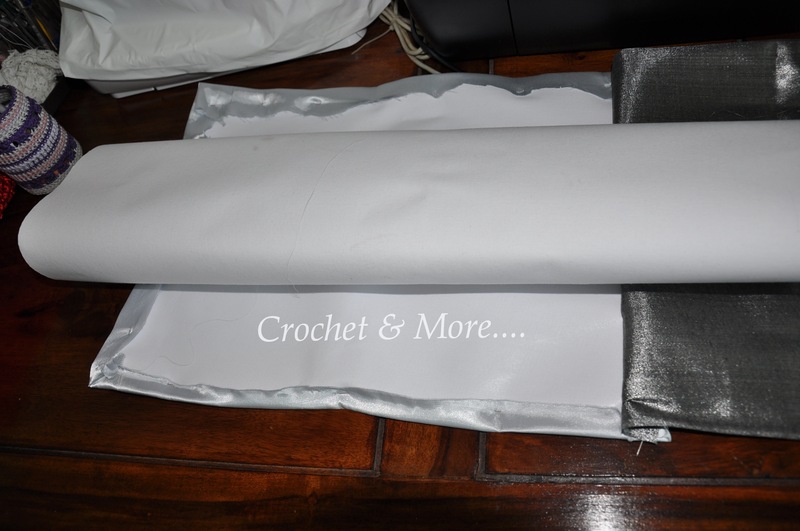 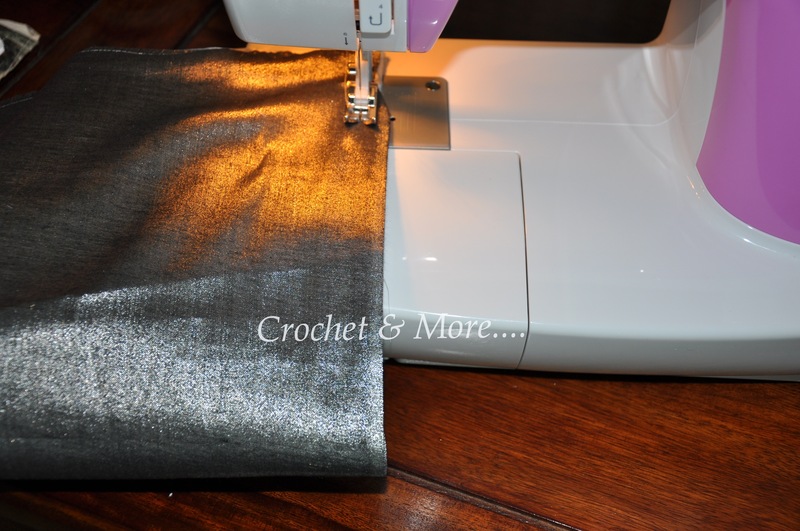 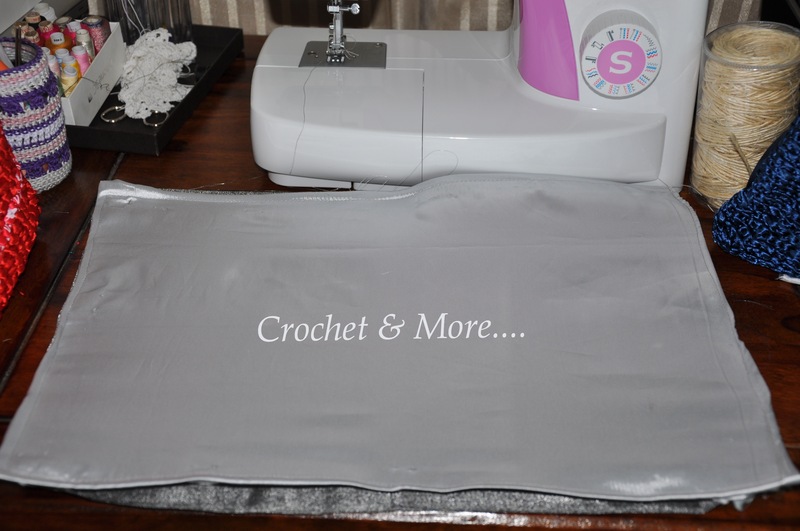 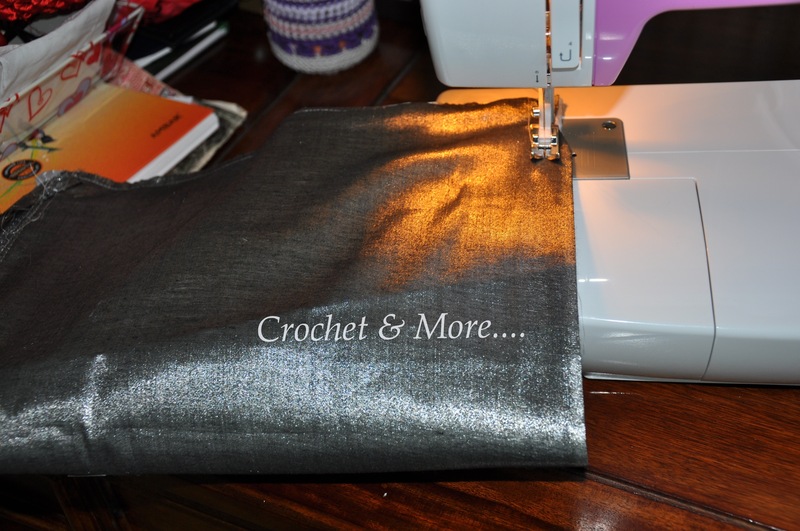 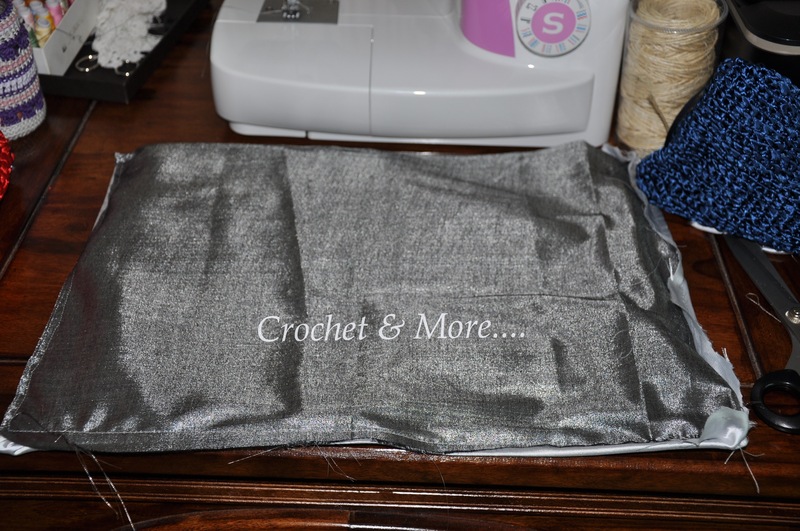 So to keep the ribbon from fraying or the metal handles from pulling at the ribbon….I sewed up four squares of that firm cotton matte fabric and sewed it on to the wrong side of the bag just where the handles were fixed. 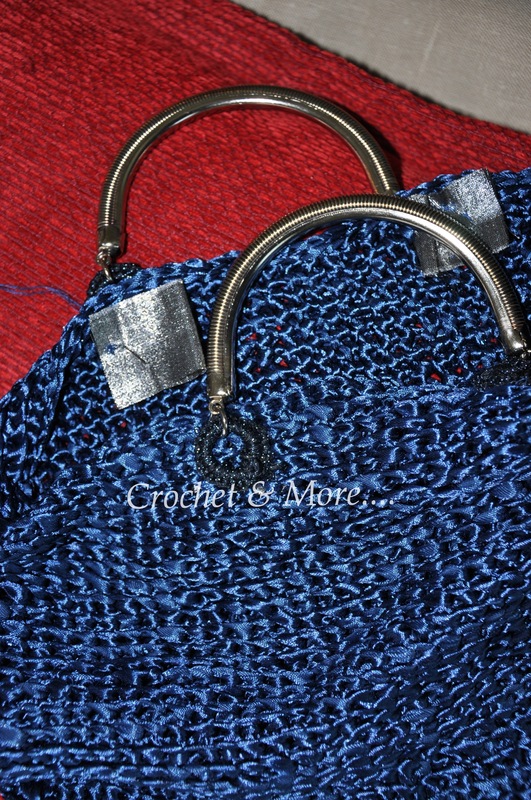 This secures the handles and protects the satin ribbon bag. 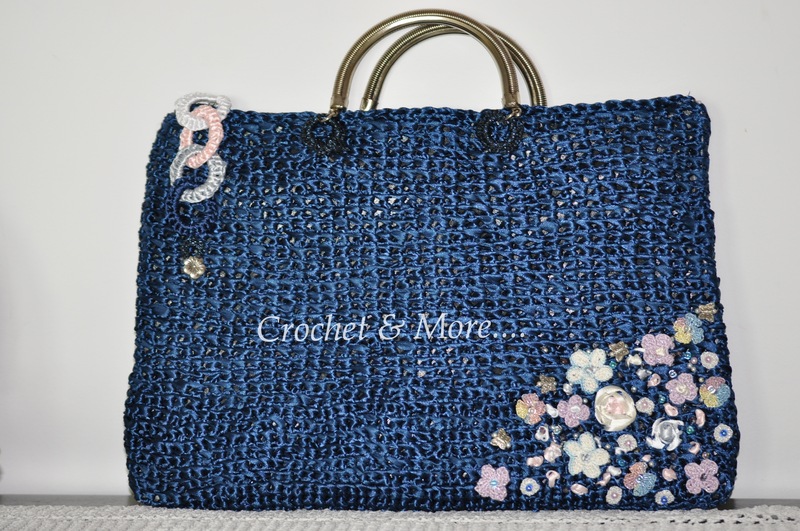 I embellished the bag with a link chain and then thought it needed something more…..so decided to make a little garden of flowers…in crochet, french knots,satin ribbon, beads, metal butterflies etc….I have shown you how I did one of the satin ribbon flowers…use your imagination and put in any thing you like….. 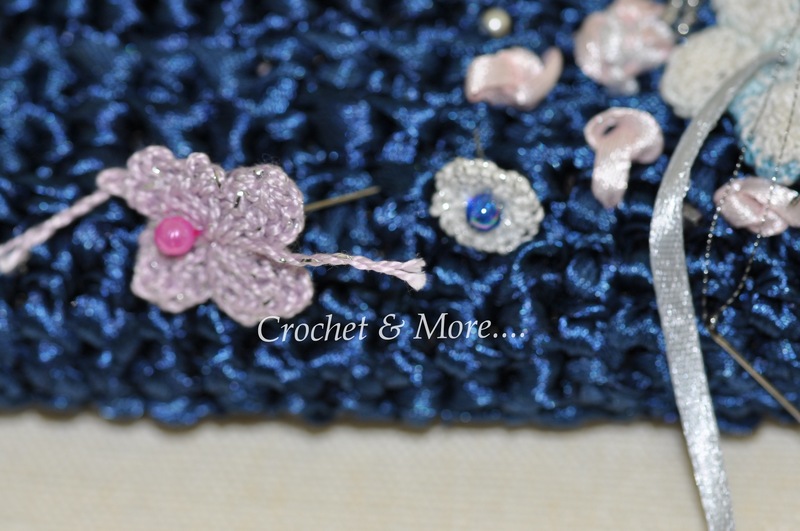 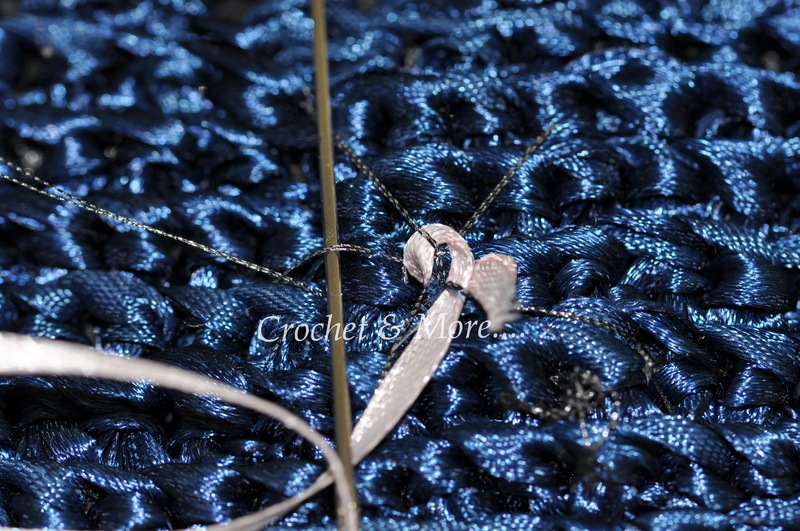 Tried doing a chain stitch ivy around but that one didim;t work so I took it off…I have just added the pic here so that you can see how easy it is to embroider on a crocheted satin ribbon surface. 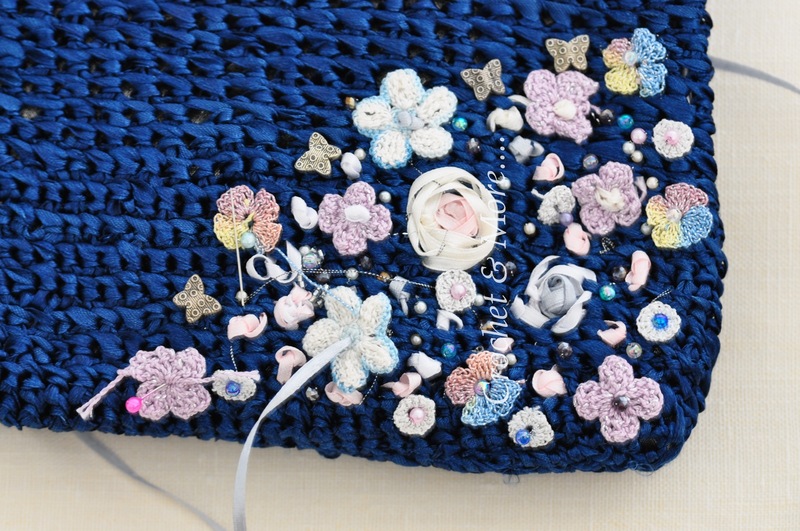 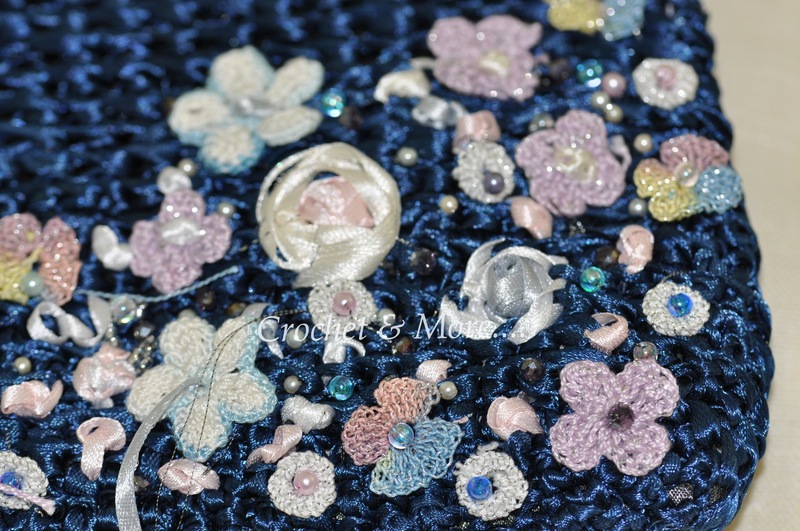 First I crocheted a few flowers and pinned them to the bag…then worked the satin embroidery flowers and french knots….then a few more crochet flowers, beads, butterflies……. 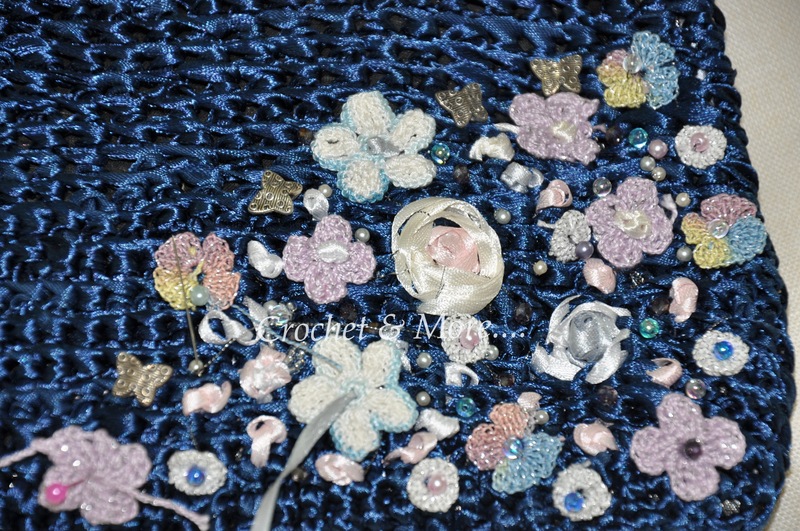 AND VOILA……………..WE ARE ALL DONE!!!!! 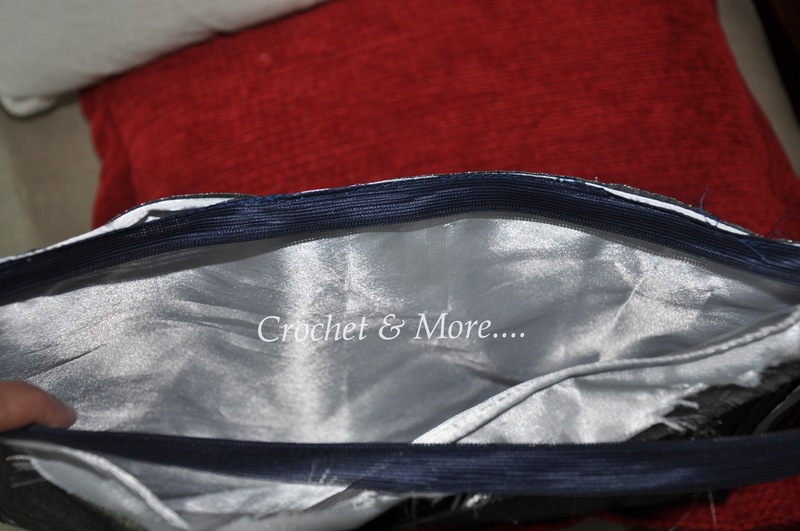 Well…….that’s it for today…..Take Care……..here’s to Peace & Contentment…Love….